Earlier this week we got a look at the iPhone 7‘s back panel thanks to some leaked schematics. Now one case-maker has created a detailed render of the new phone based on technical drawings that allegedly came straight from Apple. 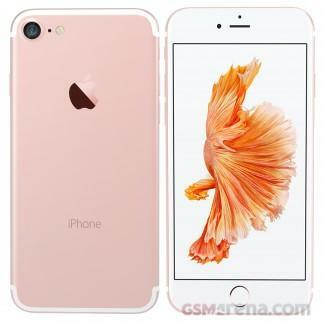 Published by GSMArena, the images show the iPhone 7 from various angles in beautiful detail. The report notes the specific colors and materials are made up but claims the placement of buttons, cameras, speakers and all the rest of the hardware is correct. The leak mostly lines up with what we already know. The rear camera is bigger than on previous models, though the hump looks even more awkward than usual. The antenna bands have been re-positioned for a cleaner look, and the headphone jack is gone. However, this iPhone 7 render adds a second bottom-firing speaker grille, which hasn’t appeared in other recent images. The Smart Connector is also missing. That feature might be limited to the rumored iPhone 7 Plus or iPhone 7 Pro, which is also expected to offer a pair of rear-facing cameras. Overall, this latest leak doesn’t quite add up, though it’s possible Apple’s tweaked a few details after sharing these schematics. Still, we wouldn’t put too much faith in these new iPhone 7 renders, even if the final device ends up looking pretty similar.